Finding a space to close your eyes and rest. Massaging the back of your neck and temples, forehead and even your ears. Warming up your neck with a hot water bottle, heating pad or a warm cloth. Position it at the base of your skull to ease tension headaches. Listen to relaxing music or find ways to relax. Watch out for low blood sugar; make sure you eat regularly and watch what you eat and drink. Too much sugar will spike your blood sugar and will likely cause your headache to worsen. But for the more intense and difficult headaches, you might need a different strategy like medications and lifestyle changes. Prevention could be essential. Below is a gathering of great stories and resources from personal experiences. 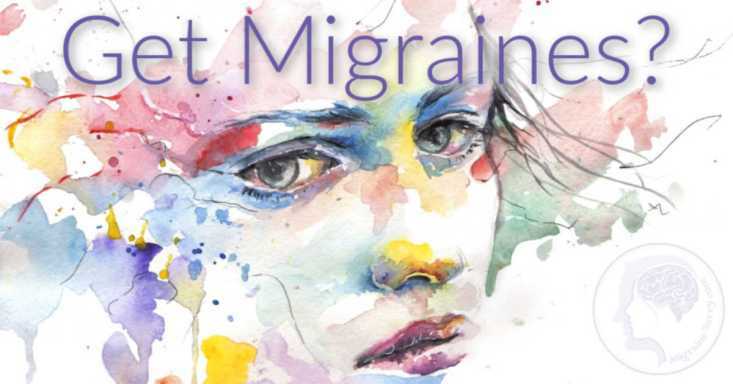 You'll find tips, tools and tricks, stories, and solutions submitted by other migraine and headache sufferers just like you. So have a look through and see if something jumps out at you, or you're very welcome to share your own solutions too. Headaches are unfortunately something I know quite a bit about. My mother had severe migraines when I was growing up; she was hospitalized on a regular basis. In her 30's, she had a hysterectomy in hopes of stopping or at least reducing the headaches (they were mostly hormonal). I inherited this condition and started to really suffer in my 20's. I'll spare you all the details of the 20+ years I've been dealing with headaches - suffice it to say, I have tried everything. (I do not do well with Triptans. They make me very nauseous). I also began Botox last year for chronic migraines. I have had two rounds of treatment and am getting ready to have a third. THIS HAS HELPED ME!!! YEAH!!! I strongly recommend anyone suffering from chronic migraines and daily head pain to research this. I also take 150 mg Lyrica 2x a day (prescribed for fibromyalgia but I think it has made a slight difference in my head pain too). I have suffered for so long I know that finding a protocol that has helped me is worth sharing. I also must add I have a very good neurologist. I highly recommend finding a good doctor too. Someone who knows migraines and how to help you manage them over time. Blessings and I wish you all the best on your pain journey! It's a hard one! I Waited Too Long To Try Botox by Tara S.
Having had migraines for forty years (since I was 12), I have tried many many different remedies, treatments and medications, most of which help to an extent. For about a year now my neurologist has been patiently suggesting I try Botox. Having done some Google research and discovered that a few people end up getting a dreadful headache just from the injections themselves, I decided against it. Also hated the idea of putting toxins into my body. Finally, about four months ago, having reached 'medication over-use headache' saturation point, the neurologist told me I had to limit my medication use (I use Relpax when I get an attack - find it more effective than Naramig, which I took for years) to just 2-3/week! Clearly impossible during term-time (I'm a teacher) when I was getting them almost daily. Both my job and my family were suffering as a result and my husband and I once again searched for alternatives, which included another look at Botox. Interestingly, it had just been approved for inclusion on the (Australian) Pharmaceutical Benefits Scheme (the PBS), which made it slightly more affordable. With precious little choice open to me, I finally gave in and booked an appointment. The 31 needles in my head, neck and shoulders were pretty painful, but I got through it by listening to a guided meditation. While I still had to pay for most of the neurologist session, I got just over a third back on the cost of the actual Botox. 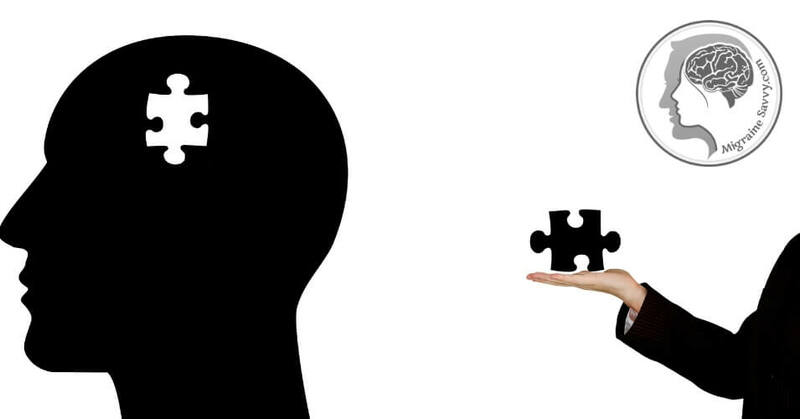 The next couple of days I suffered on as usual, but by Day 6 my head was sparingly clear. Since then I've had periods of up to 12 days (unthinkable!) without any kind of migraine - or tension headache, which I also used to be plagued with. My life changed completely. I had time to do things, see people, get work done on time, dare to plan things. Extraordinary. And no side-effects (other than a slightly smoother forehead!). About 6-7 weeks after the treatment the migraines gradually started to come back and now (9 weeks on) I'm getting them almost as frequently as before. Nothing like as intensely though. Both the neurologist and my local doctor assure me it's normal to have to go through this wearing-off period and that I'm not alone. They also say that the more treatments you have, the longer the effect lasts. So I am still extremely hopeful. 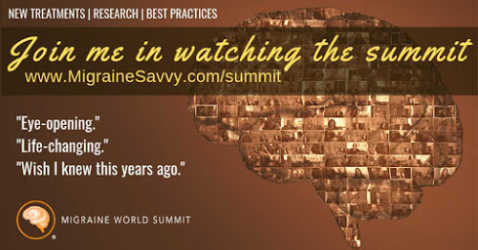 Can't wait for the next treatment - and for the migraine freedom I know will follow. I feel the need to shout about it from the rooftops as if it can help me, it can help others too. They say it works for people getting migraines at least half the time, so I guess it's not for everyone. Always worth asking though. Financially, it's expensive at first but I've taken way less (expensive!) medication, needed way fewer massage and acupuncture sessions - and gained days and days of time! We reckon it's probably costing less than if I hadn't had the treatment. So if you're hesitating about Botox, go and talk to your doctor/neurologist. It might just be that one treatment that makes a difference. I have had 3 treatments of Botox for chronic migraines. The treatment is helping me. I have also have fibromyalgia but I have had no negative side effects from the Botox. My doctor told me that the first treatment would likely not be as helpful as subsequent treatments, and he was right. The first time, I think I started to feel some relief maybe 5-6 weeks after the injections. Since then, my pain levels have definitely decreased. I was getting 1-2 debilitating migraines a week (and as you know one migraine can last 2-3 days or more), so I was really struggling. 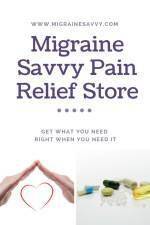 I now have 2 or so migraines a MONTH and when I do, I do not require heavy duty pain medications. And the migraine is much shorter in duration. Another benefit has been that my chronic daily head pain has decreased. It's not completely gone and I don't expect that it really ever will be, but it's so much more manageable. As an aside, in addition to the Botox, I take a muscle relaxer several times a day and Seroquel at night. When I get a migraine, I inject Toradol (and of course, treat the nausea). I am not a fan of triptans. I have found that an ice pack is immensely helpful. My doctor told me that in multiple studies, the one medication that helps migraine sufferers the most is Toradol. If you are not familiar with it, it's a strong anti-inflammatory medication. I have an ulcer (as a result of years of taking (incalculable) medications for my head) so I do treat the ulcer with daily medication. Toradol does not inflame my stomach because of the ulcer medications and because I don't use it but once a week or so. In terms of the Botox treatment itself, if you've ever had acupuncture, it's similar to that. The needle is small. The injections sting a little but it's not bad. There are a lot of shots - 31, but it's over pretty fast. I will tell you that the first time I had the treatment, it set off a migraine. So, if it's possible for you after the treatment to rest with ice on your head that may be helpful. That's what I now do and I haven't had any problems since. 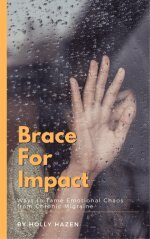 I know what it's like to be desperate for relief, so I wanted to share my experience. I have a long history of migraines. I remember getting my very first migraine at age ten. I just cried and cried. The strange thing is I never got one again until I was in my mid twenty’s. I get the aura and that's how I know I’m getting a migraine. As soon as the aura goes away the migraine usually hits like a ton of bricks with no mercy. The pain is usually so intense I usually start crying and put myself in a dark quite room. My senses get heightened to smell, light, sound, and I get nauseated. Usually, as soon as I throw up the pain decreases. I was seeing a neurologist that prescribed me muscle relaxants and anti-nausea medications with Imitrex. So, I have tried Imitrex but sometimes - well most times, it doesn't work. Maybe my timing is off. In the past I have even tried drinking a can of coke and eating a full chocolate candy bar and taking an Imitrex. But I usually end up throwing up everything. My pain is usually one-sided to the right side of my temple or left or sometimes on both sides. It feels like someone has my head in a vice and is crushing my head until it blows. At this point I usually am crying so hard – I think it helps just a little with pain. I tried breathing techniques but they didn’t help. When I get my migraines I don't function well, my coordination is off and my speech is usually confused. I will say things that don’t make sense or I won't recall what I just heard. I also get the post migraine munchies where I eat like crazy and crave cold fluids and comfort foods. I usually feel brain foggy for one or two more days after an attack. Today was the worst of all. I work at a hospital so I didn't have to drive to get medical attention. I went to the ER as soon as my aura started and my coordination was off. As soon as I was triaged I was put in a dark quite room. I was given a shot of Imitrex subcutaneous. About thirty minutes later my pain increased and I became nauseated. I was then given a shot of Phenergan to help with the nausea. About another thirty minutes went by, my pain had increased and I was now crying and needed immediate relief. My head was throbbing. I felt like I was going to pop the veins in my temple. I also started throwing up and kept vomiting but my stomach was empty. I then started noticing my neck muscles on my right side started cramping up. At this point I asked for a muscle relaxant, but because they figured it was a typical migraine they declined and said they would continue treating the migraine. So then they started an IV and gave me some Dilaudid for pain control but I got nauseated from that too. So I got some Zofran via IV and I also received 2 IV blouses. At this point my head was still in a lot of pain and I was just sleepy. My sister came and picked me up and drove me home and I slept it off for about three hours. Now I have the post migraine soreness. My neck was still tight so I took 5mg of muscle relaxant. Finally my head doesn't hurt anymore but I still have to be careful because if I get up too fast or turn in a certain direction the pain starts up again. Today was a migraine from hell and I think I know the trigger! I changed to a gluten free diet and have tried very hard to stick to this lifestyle. Since being on a GF diet my migraines have stopped 100% unless I accidentally eat gluten. I have also been on a dairy free diet because I am lactose intolerant as well. Sometimes I accidentally eat gluten. Yesterday, I ate a tamale from a food vendor and I didn't check the ingredients. This is the third time I have had a migraine after eating a tamale. I think I am done with eating tamales after today! I found this search for Migraines related to eating Mexican tamales. I can't eat them anymore either, although I do eat gluten and don't get a migraine attack but tamales definitely do give me migraines too! It must be some other ingredient, or the combination of ingredients. I wish I knew. This is such a mine field. One has to be a detective to figure it all out. All my life I had been very conscious of eating good wholesome food and looking after myself. I had experiences with migraines on and off but they were related to not drinking enough water or not eating enough prior to working in the heat. Suddenly out of the blue I started getting migraines for no particular reason. My water and food intake was good, I had no reason to get these horrific debilitating episodes. I would go into a dark room with a wet towel over my head. The pain was shocking in my stomach and head. These migraines occurred more often and started lasting longer, going on for days. It was as if I had been cursed - the ongoing torture was getting worse! I knew my diet was healthy. I ate lots of salads, fruit and veg, fish and red meat. I wasn't a big drinker - one glass of red or one bottle of beer a day and sometimes no alcohol, but it didn't matter. My wife, who was a nurse at the time, had no idea what the cause could be. I wasn't stressed at work and we lived in a non-polluted beach side environment. I decided it must be something I was eating and had become allergic to. I started dropping items out of my diet. But my migraines got worse. Luckily the third thing I dropped was LAMB! When I realized this my darling wife thought I was mad. She gave me some lamb a few weeks later telling me it was beef. Bang, I got a bad migraine - it lasted for 4 days. She was a true believer after that. I have had lamb once since then and that was when a friend of ours got her meats mixed up, and that attack that lasted for 5 days. This is over 15 years ago. I have no interest to try lamb to see if the issue has gone away. I have met other people who had this same issue with lamb. I wonder if this ‘allergy’ that I have could be quite widespread in the community?! I tell my story to help those whom may not realize they have this allergy. God knows what would have happened to me if I hadn't figured this out. My background was fairly normal other than being born 6 weeks’ premature back in 1952. I have had hay fever and some fungus allergy issues. I had an incident in the back seat of an old car that had an exhaust leak when I was about 7 and I was sick for a few days after that. Other than these issues I have no other real health problems. People who have never had a migraine can never know the pain and torment it can bring. I am a 32 year old nigerian who was home all my life until recently (the past year) I moved to Kuala Lumpur. It's not as though this is a formal introduction for a seminar delivery but to create the understanding that such "migraines" could affect anyone regardless of the difference in environmental exposure. The first lamb I ever tasted was about 4 months ago. I've repeated the action up to 5 times and every time I thought I wasn't going to wake up the next day with a terrible migraine that would follow after each meal. Initially it was more traumatizing because I just couldn't place my hand on the exact reason until the 3rd time. The 4th and 5th time was my final confirmation after having a plate at different restaurants, that for some reason lamb is trying to kill me. Honestly I feel terrible because the one true meat I fell in love with is trying to take my life. I won't be a guinea pig for the 6th test. I don't know what else to say except I've noticed migraines after eating lamb. The pain sometimes last for days. You're lucky. Mine lasts 2-3 weeks. Out of the blue I thought I would Google Lamb and Migraines and your blog came up. First on the net that I've seen of the association. About 25 years ago I discovered lamb triggered my cluster migraines. Flu shots also. Nothing else though that I know of thank goodness. About 3-4 days after consuming lamb (regardless of the amount) I will start getting very severe debilitating cluster migraines 2 or 3 times a day for two to three weeks. Last time this happened (had a frozen meat pie that, to my surprise, contained beef and/or lamb) my doctor recommended a drug to lower my blood pressure below the normal range. That and sleeping upright for 2-3 weeks worked great. Since then though I read all the fine print on meat products and haven't had lamb since and no migraines. I wonder what might be in lamb that is also in flu shots? I think my most annoying migraine symptom is smelling things too much. I feel like after all these years of having intense migraines, I can smell things that are either not even close to me, or don't exist. I am just hypervigilent now - way too over sensitive. What can I do? Smoke and (any) perfume just triggers me instantly. Like my neighbor, two doors down, sits outside on the front balcony and smokes all day. I can smell it all morning and just keep closing my door and then opening it, closing it, etc. I have a new fan to blow it outwards, but it doesn't always work. I notice if he only has three cigarettes of a morning I can be OK. But then some days, and I don't know why - I trigger at the very first one. I am sure it has to do with wind direction, I tell myself. Not that I am a psycho! Last week, I went over and asked him if he could smoke out back and he said "How can you smell that two doors down 'mate'? And how dare you come over and tell me not to smoke in my own home." I replied, "ah, but you see, herein lies the problem, you are not smoking in your home, you are smoking in mine!" Anyway, it ended amicably with me saying, "Ok I just wanted to see if there were any other options to save me getting a 5 day migraine again and vomiting all morning." And so it goes, I feel with nothing changing. Smoke triggers my migraines, and that's a fact. Any ideas on what else to do? I am feeling a bit defeated. Smoke triggers my migraines too so I can honestly say I know how you feel. In New South Wales they have current by-laws that state you can no longer smoke on balconies .... I have been told that the Queensland Government is considering it. 1 January, 2015 they are introducing a distance limit around smoking near schools. Lets pray its only a short time before they implement the same by-laws as NSW. From The Courier Mail dated Feb 6, 2014 "Lighting up on balconies could be banned" by Michael Matusik. He talks about this hot topic being under the microscope. In NSW newly proposed "smoking-specific" laws will provide residents and bodies corporate with more "teeth" to deal with the increasing problem of "smoke drift in strata buildings." So hopefully, if you can enforce this new by-law, occupants who disregard the "smoke-free building rules could find themselves facing hefty fines." In Queensland under the current legislation, smoking is prohibited on common areas and shared facilities of community title schemes. This is still a grey area, as the balconies are not common property. But during 2014 an independent review will be undertaken by the Queensland University of Technology, so let’s see what they find. The article says that further inquiries can be made at www.justice.qld.gov.au should you like more information. Please call me or email me so we can have a longer chat about feeling defeated. My husband has really BAD silent migraines that usually last for days and he is unable to work during the attack. My husband gets extremely tired and doesn't talk for the days he has the migraine. He doesn’t really know how to explain them or what goes on. He does say it’s as if he's in a different world and everything else around him has stopped… but it really hasn't. He gets confused and doesn't respond when anyone talks to him. He gets his silent migraines every 20 days and has warnings signs a week before each attack. The warning signs he gets are: yawning, a stiff neck, a wavy weird feeling, and over sensitive vision like zig zags and dots. A week before the attack, each day up to the full-on attack, he gets more and more tired and deeper into the attack. I fear they are very similar symptoms to a stroke. He maintains a good sleep routine; we eat all whole foods and organic (no chemicals) and he takes lots of vitamins, minerals and herbs. These have lessened his symptoms but not enough where he doesn’t have to miss work yet. I’m really surprised he still has his job. It’s all VERY scary. Ginger has been a life saver… also Coenzyme Q10. These two alone have reduced the duration of his silent migraines, they’ve gone from 19 days long to 3 to 5 days long. And the symptoms of each attack have lessened a lot. For example, before he couldn't drive with one, and now it doesn’t fully affect his driving and he can even work on certain days! Hopefully the frequency will keep reducing instead of having an attack every 20 days and that he will be able to work regardless of whether he is having an attack or not. He is doing this 100% naturally no meds. He’s been treating his silent migraines very aggressively. By this I mean he takes 5,000 mg of Ginger when he’s having the attack, and 500 mg of CoQ10 daily. 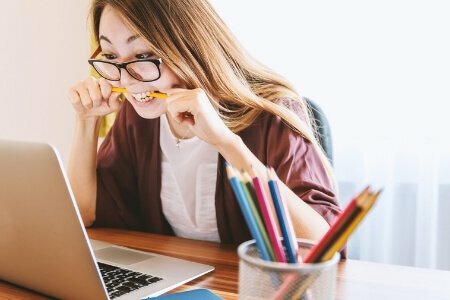 Hi Stephanie and Brandan, yes, these symptoms can be scary... and I recommend you read these few articles I've written on the topics that arise from your post. And just to put your mind at rest - stroke symptoms are normally SUDDEN but then migraine aura symptoms should resolve within 20 minutes (some experts say!) so no wonder you feel scared. Make sure you check with your family physician on all your hubby's symptoms. It's really important to check these things with your doctor. Migraines are scary... full stop! Thanks for sharing what has been working too, that's very helpful. There is some great evidence behind ginger working as effectively as the sumatriptan medication - here's that article too! People often say to me “it’s just a headache!” but I wouldn’t wish a migraine on my worst enemy... THE PAIN IS UNBEARABLE. Migraines have been a part of my life since I was 4 years old. I would have to take days off school, cancel plans with my friends and my mum would have to put me to bed in a dark room with a flannel over my eyes. I would get very sick with them and they could last for days. They still affect me for days on end. They usually begin with aura which can be a variety of symptoms including zigzag lights, blind spots in the vision, numbness and tingling or speech problems. I am forced to withdraw from the world entirely until the pain loosens its grip. The pain is usually a severe, throbbing and pulsing pain. I can also lose my memory when I get them and all I want to do is sleep. They are ruining my social life and my ability to work. They make me depressed. I feel like they are ruining my entire life. 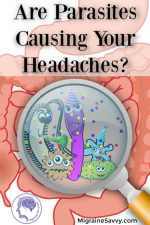 About a year ago my migraine attacks became worse, and no medications from my doctors were working. The doctors would just say 'it's hereditary' as my Nan suffers from them. They cause me to have: panic attacks, flashing lights, vomiting and lately... collapsing with the pain. I’ve been ending up in hospital because of being unconscious. It’s terrifying. After doing some research I found The National Migraine Center in London. 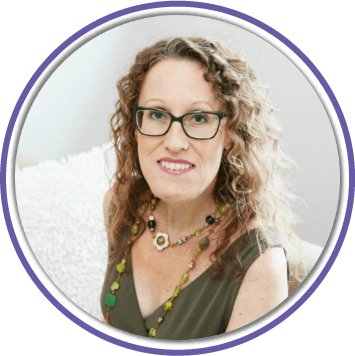 So, I took a trip there and spoke to Dr. Katy Munro who has put together some strategies to reduce the frequency and impact of my migraines. The support there is amazing! 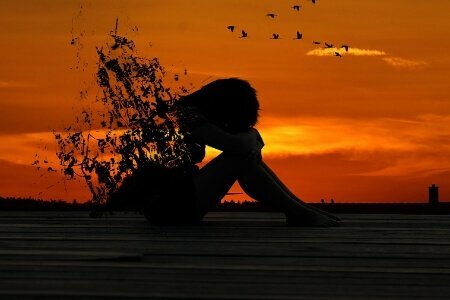 I don’t feel so alone now I know so many other people are experiencing the same things as me. Hi Jordan, keep us posted on your progress. I hope you find your best treatment strategy asap! Collapsing and ending up in hospital is very scary. 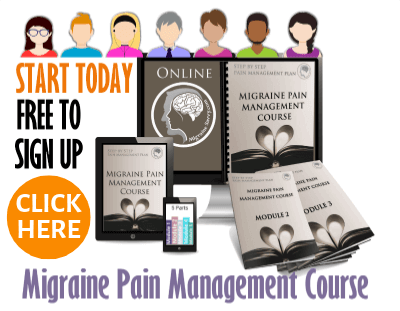 If you are still struggling, be sure to come back and check out my migraine pain management course. The first module is free and it might help change the course of your attacks. Sometimes the doctors just don't have time to tell us everything... so there might be some essential information there for you that will be life changing. I hope! Thinking of you and hoping for the very best outcome. 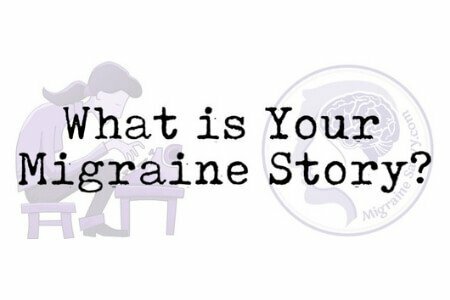 My story begins all the way back in 1997 when I was 7 years old and I had my first ever migraine. I can still remember it to this day with the extreme light sensitivity, having to be in a pitch black room with as little noise as possible and feeling like a vice grip was just getting tighter and tighter around my head. Fast forward 19 years and to this day as I'm typing this out, I've missed worked for the 6th time this month due to a migraine. I feel like my migraines are taking over my life and I have no control over it. I've missed some very important things in my life due to my migraines and have even lost a job due to them. I've missed out on so many fun and crazy adventures with my friends because of them. I almost missed the happiest day of my life when my son was born. I've been hospitalized for hitting my head on sinks, toilets and bathtubs from vomiting due to my migraines and I have almost been killed due to my migraines from passing out from the pain while driving. In the last 19 years I've seen so many doctors and have had so many tests done that I can't even recall them. I'm told one thing by one doctor, then one thing by another. I'm told this option will work but we're not going to do it because he doesn't want to do it and so on and so forth. It is so maddening! So now I'm waiting again to see another new doctor and hopefully it will be my last doctor. I know I skipped over a lot in my story and it might have sounded more like complaining but I really don't have anyone to talk to about these because they think I'm just making it up so I don't have to do anything or go into work which is not the case at all. All I can say to anyone who is or has suffered from these horrible things, just know that you're not alone and there are plenty of people out there who understand 100% of what you are going through. Joe, your story sounds sadly familiar! #1 You are not complaining... not here.... no way! And #2 I hope this is not your last doctor, but the first doctor who can help you the way you want to be helped. I have a number of questions, so I hope you feel OK to reply. If not, we can do this by private email too! 1. What type of migraines have you been diagnosed with? 2. What have you tried already? 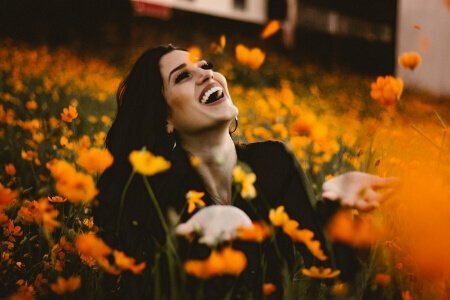 (Triptan medications are the most effective pain abortive and there are quite a few different kinds to try with different delivery systems - link below). 3. The bad news is that your migraines may never stop, but they might too. The good news is that you might find your trigger(s) and then you should be able to find some things the help abort the pain and or help reduce the symptoms and vomiting. Please stay in touch (if you'd like)... let's see if we can figure something out that will help you manage your pain better. I am not a doctor, and you have had them a long time, seen lots of MD's so you know heaps already. But you just never know... I am here and if I can help... that would be great. It’s going on 11 years suffering with daily migraines. I’ve tried everything from a Chiropractor, Acupuncturist, Internist, Neurologist, Pain Management Specialist, to a Brain & Spine Institute Doctor. I’ve tried medications… so many medications (herbal, over the counter, preventative, acute), Botox, MRI's, screaming, the fetal position, and more. Enter daith piercing. I've had mine for 2 months and O*M*G. My headaches have reduced in frequency significantly and dropped in severity from an 8-9 to a 1-2 on a 10-point pain scale. I wish I had tried this first. So much suffering is gone. I literally have my life back and it's awesome! I've written more about Daith piercing here - Daith Piercing for Migraines: Hope or Hype? To add answers or comments about this page please use this contact form. Please enter your title and add this page reference: How To Help A Headache.